Specially designed for port maintenance environments. 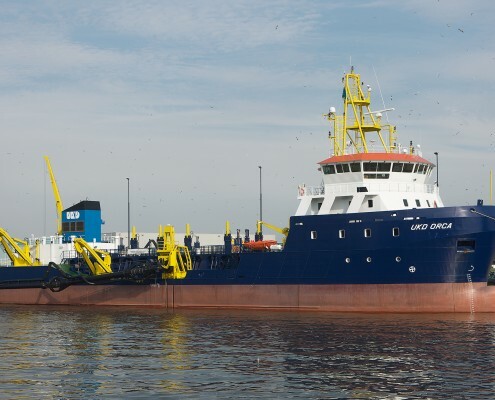 The diesel electric driven trailing suction hopper dredger ‘UKD Orca’ is the latest delivery of Barkmeijer Shipyards. This sophisticated vessel has been designed especially for port maintenance environments. Therefore a dual suction dredging pipe has been installed on portside as well starboard. To guarantee an excellent maneuvering flexibility, the vessels is equipped with two azimuth thrusters. 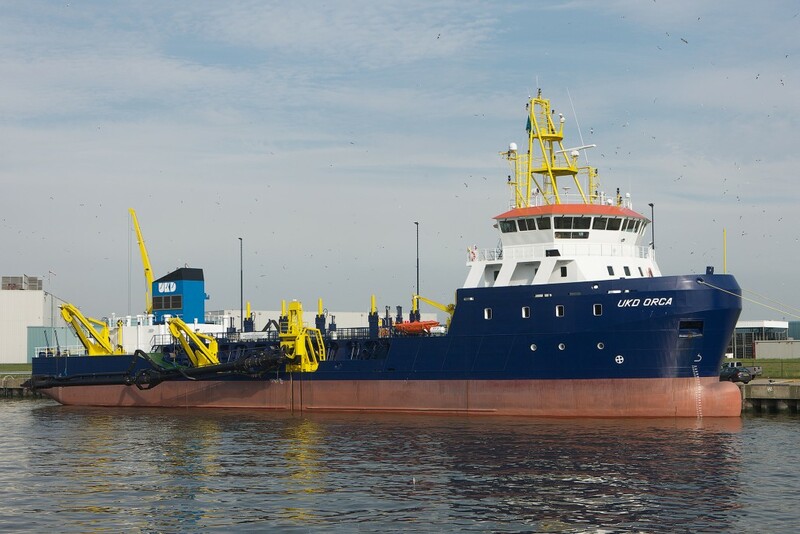 Discharging of the hopper load is established by six bottom doors or by dredging pump via a shore connection portside or starboard.